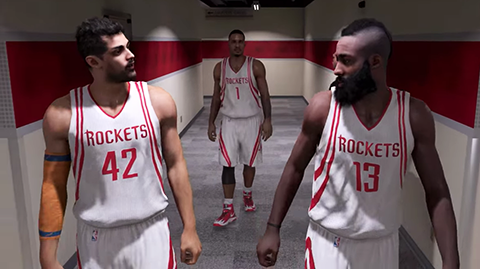 Today, 2K Sports released a new gameplay trailer revealing all of the new features in MyCAREER mode in NBA 2K15. Your journey will include encounters with player mentors from every NBA team in the league, as well as coaching from Doc Rivers, head coach of the NBA's Los Angeles Clippers and one of the best coaches in the history of the NBA. Guiding you as you progress in your MyCAREER, watch these examples of the authentic interaction you can expect in NBA 2K15. Mentors: No matter what team you want to play for, you will have NBA players teach you the ropes. With every NBA team, you will learn how to play smart basketball with any team you choose. Coach Satisfaction: A brand new gameplay system, coach satisfaction is a real-time analysis of how users are playing. Not only are you graded on your quality as a teammate, but you must satisfy Coach Doc Rivers as well. Upgrade System: A completely reinvented upgrade system where specialties matter more than ever. Badges: Earn badges based on how you play, and raise them from bronze to silver to gold. Simulate or Play: You can decide whether you want to simulate or play every game. Get credit based upon the team you play against, including VC and badges. Endorsements: Completing challenges gives you the opportunity to get endorsement and VC. Championship: Show off a championship ring in MyPark. NBA 2K15 is set for release on PC, PlayStation 3, Xbox 360, PS4, and Xbox One on October 7th, 2014.